If Rs 500 crore is allocated to 14 lakh anganwadis, it amounts to just Rs 3,571 for setting up each women's empowerment centre. 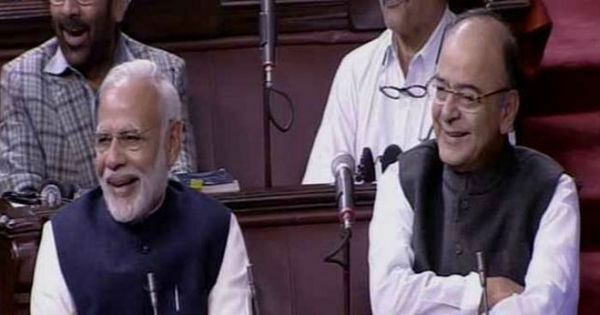 In the Union Budget 2017-’18 presented on Wednesday, Finance Minister Arun Jaitley announced a hike in budget allocation for the welfare of women and children, from Rs 1.56 lakh crore last year to Rs 1.84 lakh crore. This included a new plan of setting up Mahila Shakti Kendras – or women’s empowerment centres – at the village level in 14 lakh anganwadis under the Integrated Child Development Scheme. According to Jaitley, the Mahila Shakti Kendras will provide “one stop convergent support services for empowering rural women with opportunities for skill development, employment, digital literacy, health and nutrition”. For this scheme, the government has announced an allocation of Rs 500 crore. While details about the scheme and its implementation are yet to emerge, those working in the field of rural women’s empowerment raised some preliminary concerns. For one, the scheme proposes to attach a Mahila Shakti Kendra to each of the country’s 14 lakh anganwadis, or centres that provide basic healthcare and nutrition to mothers and children from low-income households. However, Rs 500 crore divided amongst 14 lakh anganwadis in the country amounts to just Rs 3,571 for each Mahila Shakti Kendra. Activists are also concerned about the government’s proposal to attach the Mahila Shakti Kendras to anganwadis in the first place. “This seems like a new way to undermine the ICDS,” said Kalyani Menon Sen, an activist and researcher who has worked as a consultant to the government on women’s empowerment initiatives like the Mahila Samakhya programme. In the past two years, the Integrated Child Protection Scheme which runs anganwadis has suffered from major budget cuts that workers have found debilitating. In the 2015-’16 budget, Jaitley had slashed ICDS budget allocation by half, from Rs 16,000 crore to Rs 8,000 crore. Then in the 2016-17 budget, allocation to the ICDS scheme was brought down again, by seven percent. “These cuts have already affected the regular functioning of anganwadis,” said Upadhyay, who believes the government should focus on strengthening the ICDS programme instead of using anganwadis to implement a new scheme. Already, say activists, anganwadi workers are overburdened with duties beyond their primary jobs, such as working for the census and other government schemes. Often, they are paid less than minimum wage. “Anganwadi workers don’t get any benefits of a government job and are struggling to be recognised as full-time government employees, and now this [running the Mahila Shakti Kendras] will be added to their tasks,” said Dipta Bhog, an independent education and gender consultant who has worked in the area of development for the past 25 years. From 1990 to 2016, the union Ministry of Human Resources Development ran a programme called Mahila Samakhya, which worked to empower rural women through multi-pronged approaches that focused on literacy, health, legal aid and participation in local governance. In 26 years the programme expanded from three states to 130 districts in 11 states, and was often described as one of the most successful grassroots movements in the country. Despite these successes, the central government last year sought to stop funding the Mahila Samakhya programme under the HRD ministry, and incorporate it, instead, with the National Rural Livelihood Mission. Today, the programme as virtually shut down. “It was moved out of the HRD ministry but not taken up by the NRLM, as it was supposed to,” said Kalyani Menon Sen, who is not convinced that the government will now be able to deliver a women’s empowerment programme through Mahila Shakti Kendras. What about the Nirbhaya Fund? Bhog also pointed out the government’s failure to implement another promise for women’s empowerment: the Rs 1,000 crore Nirbhaya Fund for women’s safety announced in 2013. For three years in a row, this massive budget allocation has remained unspent, even as more and more crimes against women are now being reported. “The government doesn’t even have the commitment to make those funds available for women,” said Bhog.